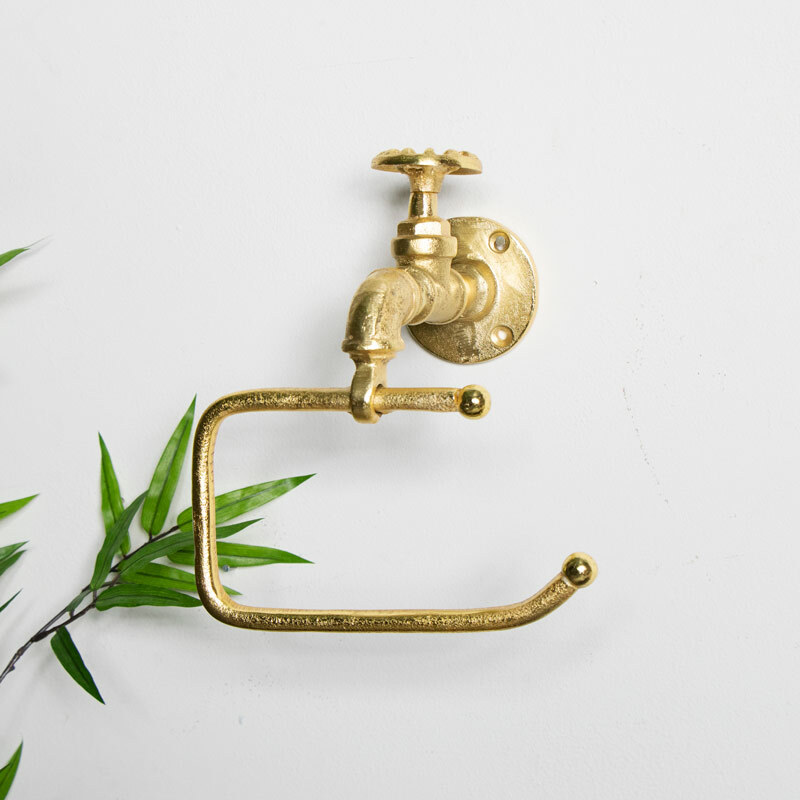 Finish you industrial, rustic style bathroom with this gorgeous, metal, gold toilet roll holder. 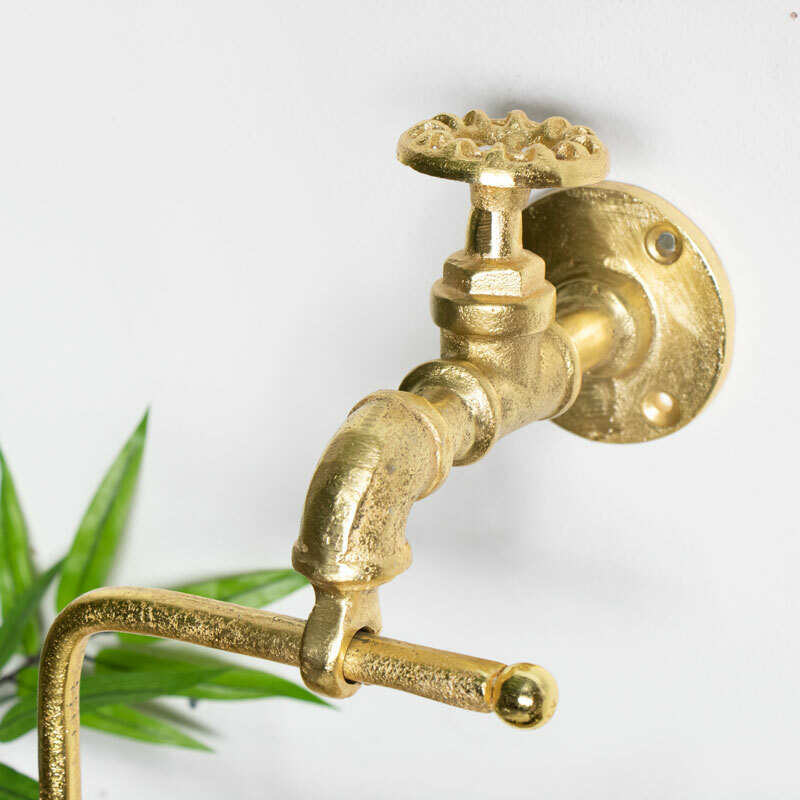 Shaped in the style of a retro tap this would also make a great addition to a more modern or contemporary bathroom. This is also available in different colours from a rustic distressed finish to copper or silver.